Summary: You may have already meet the situation that you cannot add your file to iTunes library successfully. So what’s wrong? The reason possibly is that the file format is not supported by iTunes. So what video/audio formats are supported by iTunes? This article will introduce you the formats supported by iTunes and the tools to convert iTunes files for play back as the way you like. According to Apple, iTunes supports any video format that works with QuickTime and video files purchased or rented from iTunes store. Therefore the video formats best supported by iTunes are MP4, MOV and M4V. MP4 is a digital multimedia container format which is commonly used to store video and audio, subtitles and still images. MP4 format is directly based on the QuickTime file format. iTunes supports MP4 but it has strict requirements on the codec of MP4. It only supports MP4 file with MPEG-4 or H.264 video codec and AAC audio codec. Files with other codec will be rejected by iTunes. MOV is a common multimedia container file format developed by Apple and used in Apple’s QuickTime program. It uses Apple’s proprietary compression algorithm. It is often used for storing movies and other video files. M4V file format is a video format developed by Apple to encode videos like iTunes movies, TV shows, and music videos on iTunes Store. These M4V files are all protected by FairPlay DRM so that they can only be watched on authorized computer, iPhone, iPad and iPod. The DRM protection also prevents them from being converted to other video formats. The audio formats supported by iTunes are MP3, AAC, AIFF, WAV and iTunes purchased M4A and M4P audio files. For video in formats like AVI, FLV, MKV and more, you can use DVDFab Video Converter to convert them to iTunes supported format and transfer them to your iTunes library. There are many optimized profiles for Apple devices in DVDFab Video Converter, which enables you to get iTunes compatible video in a few minutes. 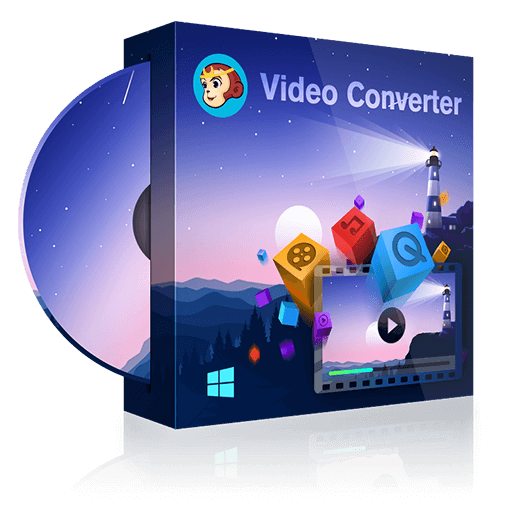 In addition, DVDFab Video Converter allows you to convert various video formats to iTunes supported audio formats. We all know that iTunes cannot play DVD video, but there is still a way for you to watch DVD movies on iTunes. You can use DVDFab DVD Ripper to rip and convert DVD to iTunes supported H.264 MP4. If you choose an Apple device from the profile library of DVDFab DVD Ripper, you can transfer the video to iTunes directly when the conversion process if finished. iTunes videos, iTunes audiobooks, iTunes music before 2009, and Apple Music are all copyrighted by FairPlay DRM. The DRM protection prevents you from enjoying these files on devices that cannot be connected to an Apple account. To enjoy your iTunes files and Apple songs as the way you like, you need to remove the DRM protection. DVDFab DRM Removal for Apple is an excellent DRM remover that can remove DRM from iTunes files and Apple songs easily and quickly. Download it now to have a 30-day free trial. For detailed step-by-step instruction on removing DRM, please go to How to Remove DRM from iTunes Media to have a look. How to Convert iTunes M4V to MP4? Are you wondering why you can’t play and watch the iTunes videos you bought on non-Apple devices? In fact, it’s because the DRM protection on M4V videos. This problem can be solved if you convert iTunes M4V to MP4. This article will introduce the differences between M4V and MP4 and show you how to convert iTunes M4V to MP4 in an easy and professional way. Renting movies is much cheaper than purchasing from iTunes. The iTunes movie rental service also works smoothly to allow you to rent and download the movie you want with only a few mouse clicks. But there are some restrictions preventing you from enjoying the iTunes movie rentals as the way you like. This article will present you how to rent movie from iTunes, introduce the restrictions on iTunes movie rentals and tell you how to free yourself from the iTunes rental restrictions. Looking for the best iTunes movie rentals and purchases in 2017? Here is a list of top 10 best iTunes movies in 2017 for you to watch on your Apple devices. This article also recommends you a DRM removal that can let you play these iTunes videos on your non-Apple devices. for All Protected DVDs & Blu-rays.